"First of all, I would like to convey my special Thanks to Delhi Food Walk, Mr Anubhav Sapra and Mr Mathew, for the warm hospitality and creating such a delightful platform where people from different Cultures can gather and share their views and socialize". 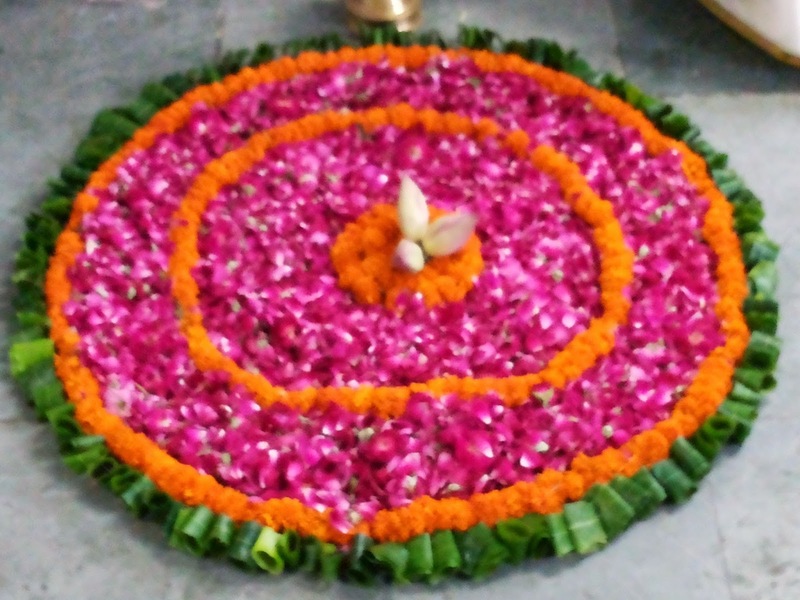 Onam (Malayalam), an ancient Hindu festival which is celebrated by the people of Kerela and also in our modern times. It falls during August - September and signifies Kerela's rice harvest festival. Festive rituals, Traditional Cuisine, Dance and Music mark the harvest festival of the state. 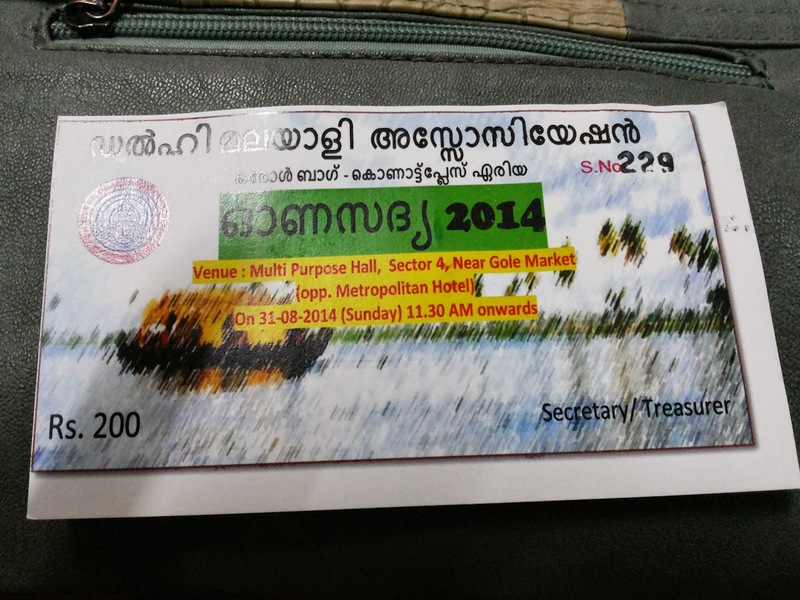 This was given to us once we paid a sum of Rupees 200/- as our participation to the food activity. 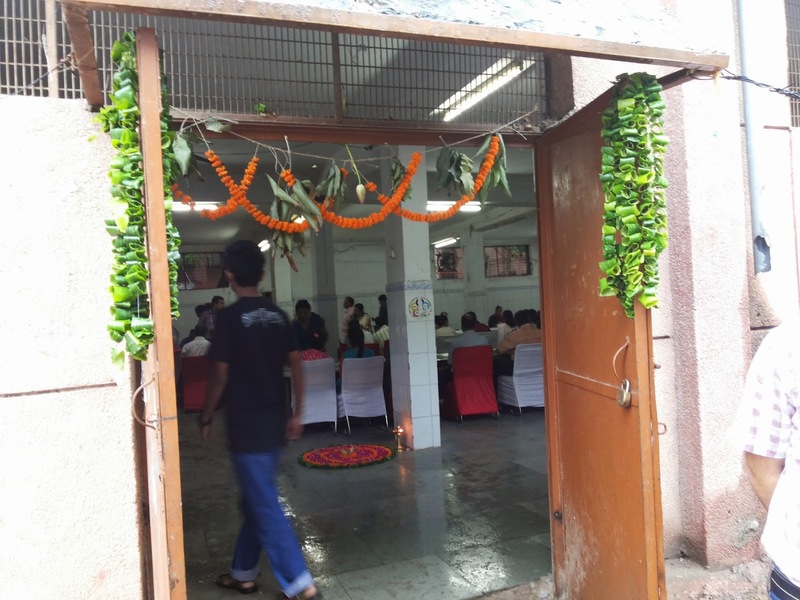 The entrance of the hall was decorated with strings of flowers and leaves and had a beautiful Rangoli, a decoration using Rose and Marigold petals, outlined by leaves and few Lotus buds placed in the middle, when you step inside. 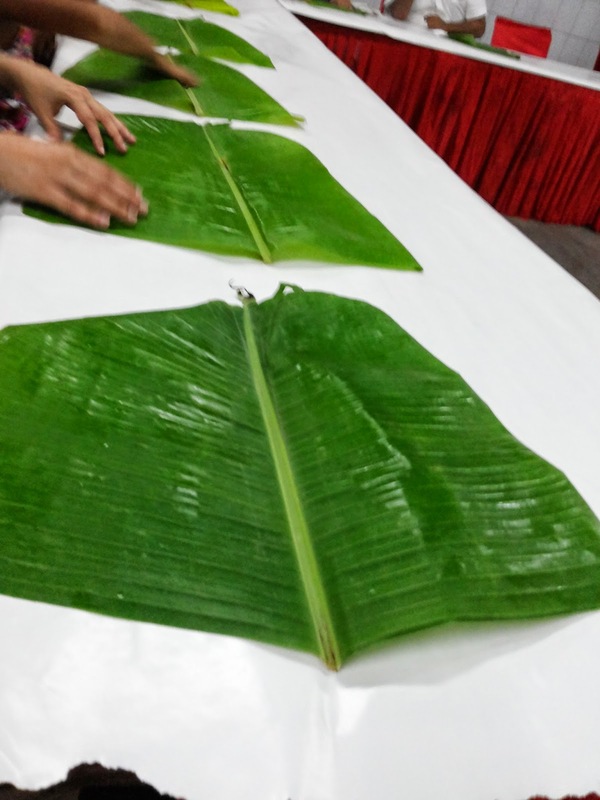 Huge plantain leaves were placed on the table in front of us all. The leaf was our plate. Very soon, people started serving us. The feast usually has more than 13 to 15 Curries , with traditional Pickle, Pappar (those crispy things you get at Indian restaurants) and a sweet dish called "Payasum" which is made of Milk and Jaggery. 18. Inchi Kari, 19. Payasum. I recall my Grand mother once mentioned , any meal eaten by using your fingers, will always fill your stomach well than eating with the help of spoon / fork. Now I understand why she said so. A sumptuous meal. Every bite was divine. 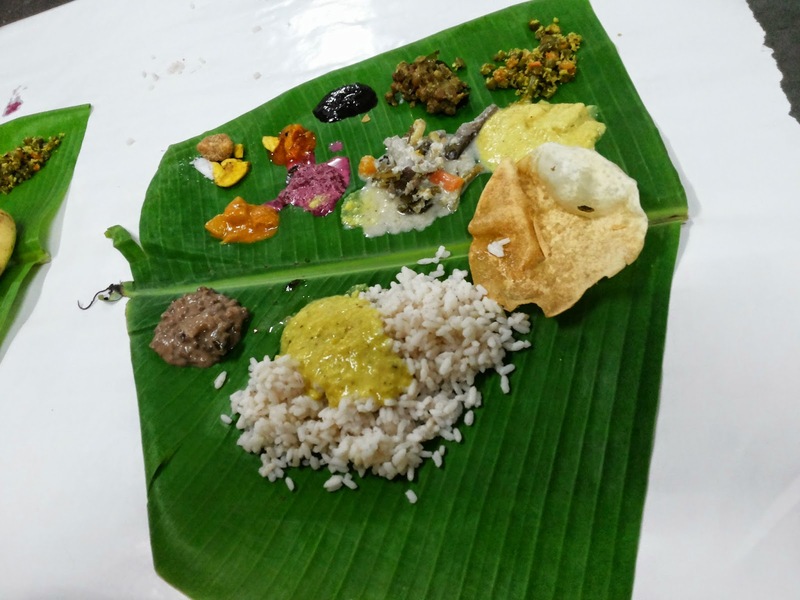 My encounter of Onam Sadya for the first time was outstanding.